The Monday announcement by Turkish President Recep Tayyip Erdogan has seen the Turkish Lira weakening as far as 5.71 against the US Dollar. Erdogan had said on Monday the country’s local elections were marred by “organized crime” at ballot boxes and demanded a recount in Istanbul and Ankara. “The citizens are telling us to protect their rights, they are complaining of organized crimes. Nobody has the right to get in an election victory mood in a city of 10 million voters with a margin of 13,000-14,000,” Erdogan said while answering journalists’ questions at Ataturk Airport yesterday before departing for talks in Russia with President Vladimir Putin. The ruling Justice and Development Party (AKP) has appealed to the Supreme Election Council (YSK) for a full recount of votes cast in the election across all 39 districts of Istanbul. YSK has thus far not commented on Erdogan’s allegations. CHP’s Istanbul mayoral candidate Ekrem Imamoglu said on Monday he was still leading with a margin of some 15,500 votes after up to 95 percent of partial recounts had been completed. As Turks continue to talk about the Istanbul election results since election day on March 31, the instability over the results has investors concerned over the apparent political instability in Turkey. The US Dollar rose to 5.71 from 5.63, Euro/Lira trade at 6.3905 with a 1.20 percent increase. 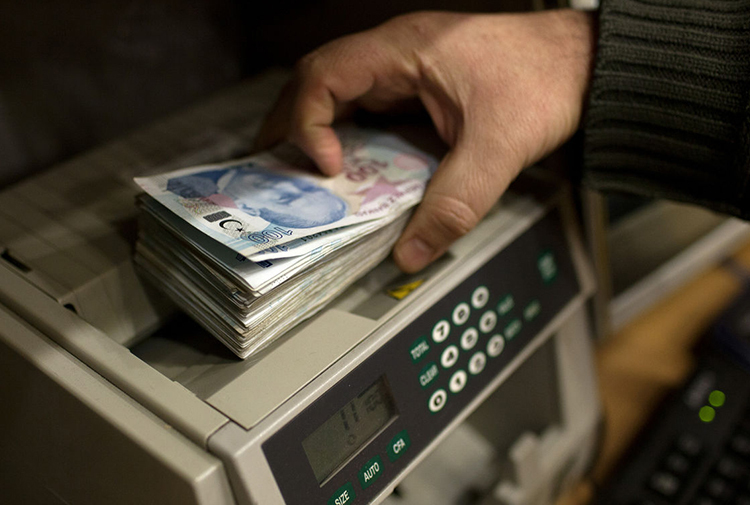 The Central Bank of the Republic of Turkey had gone on to reduce the Lira’s interest rate to 24 percent in the swap market, and announced quantity-based repo tender, according to a report in the Dunya newspaper, moves that are seen as positive actions in the Turkish market.